Selling a distressed property doesn’t have to be stressful. 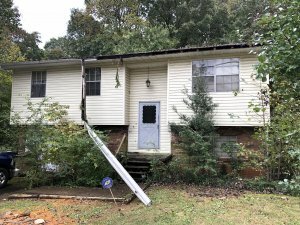 Learn more about how to sell your distressed Knoxville house in our latest post! You might think that selling a distressed property will be difficult and time-consuming. In some cases it is! However, with our top 10 expert tips for selling a distressed property, you will be able to sell quickly and for a fair price. Keep ready to learn more about how to sell your distressed house in Knoxville! 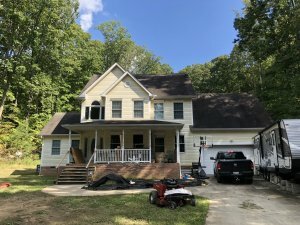 Selling your distressed property to a professional buyer such as East Tennessee Home Buyers LLC, will save you time and money. 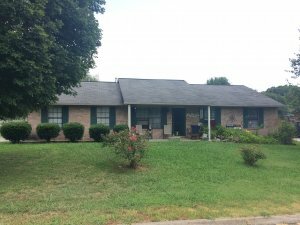 Listing your Knoxville house can be expensive and you will have no idea when it will actually sell. By selling it directly, you will be able to have your closing date right away and also avoid the expensive commissions an agent will charge you. If your property is in need of major repairs or if it is going into foreclosure, you will likely want to sell it quickly. Taking some small steps to make it visually appealing will help buyers see it in a new way. Clean up as much as possible and make any cosmetic fixes you are able to. Try to showcase the property’s potential to help people see beyond its flaws. No matter what is wrong with the property, you need to be upfront about it. By not letting people know about property defects, you could be setting yourself for a lawsuit down the road. Take the ethical approach. There is a buyer out there for your property, and you will find them! Think about the people who are actively looking for distressed properties. Market to investors and other buyers whom you think would have an interest in your house. It can help to join some local real estate or investment groups in your area to really get the word out. There isn’t as large of a market for distressed properties as there is for turnkey homes. It might take a while to find a buyer. This can be frustrating when trying to sell within a specific timeframe. If time is an issue, your best bet will likely be selling it directly. It is important to have a plan B just in case you aren’t able to sell the property. Consider renting it out if you are able to or finding a loan to help you with repairs. It is important to think about the what if’s so you don’t find yourself foreclosed on. You might think your house is worth a certain amount, but once you factor in the necessary repairs and upgrade it requires, the actual value of your property today might be much less than you had originally thought. Be realistic about what your house is worth in the condition it is in. Don’t expect to get retail prices for a house that needs repairs. If you choose to sell the house on your own, you will be responsible for taking care of all the paperwork. You will need to provide disclosure documents and create the contract. Everything must be legal and by the book as to protect yourself. When you work with us, we handle all the paperwork, so you will have one less thing to worry about. People are going to try to come at you with low-ball offers. If you are able to, stand firm until you are able to get a realistic offer on your house. You don’t have to jump at the first person who makes an offer unless this is your only choice. At East Tennessee Home Buyers LLC, we always pay fair prices for houses, distressed or not.